Is the Liverpool man serious…? 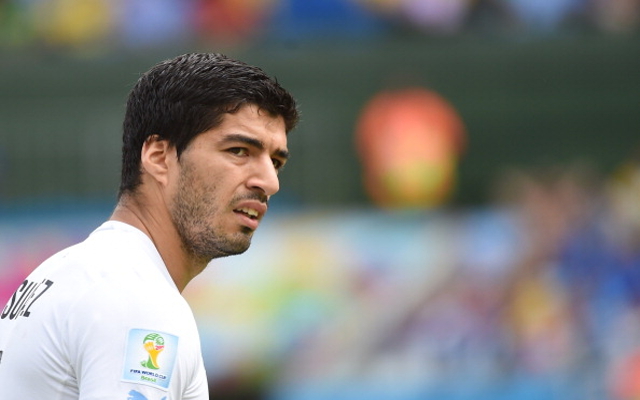 Uruguayan forward Luis Suarez has given a bizarre and quite frankly shocking response to the charge and subsequent ban for biting Giorgio Chiellini during the World Cup match against Italy, reports ITV Sport. The Liverpool owned striker has been given a nine match international ban, for what was his third bite on an opponent, and four months away from any type of football – meaning he cannot even train with his club side at the start of next season. “After the impact I lost my balance, that destabilised me and I fell on top of my opponent,” Saurez began. “At this moment I hit my face against the player leaving a small bruise on my cheek and a strong pain in my teeth and that’s why the referee stopped the match. Here at Caught Offside, we reckon that it’s pretty clear that Suarez meant to bite Chiellini, and find it difficult to comprehend the complete nonsensical nature of the statement. As a result of the ban, there have been numerous rumours that the maverick forward would now leave Liverpool, with the English giants prepared to accept an £80m offer for his services. Barcelona and Real Madrid are both heavily interested in his services, but it remains to be seen whether they’ll take the risk shelling out such large money on someone who’s so clearly unreliable. If Suarez were to stay at Liverpool, he would have missed 34 matches through suspension having never received a red cared.